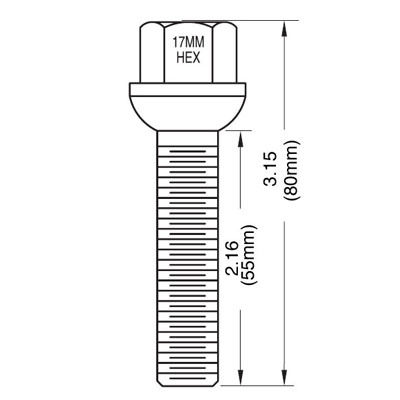 Ball seat style 12mm x 1.5 threads lug bolts. The shank length is 55mm and the total length is 80mm. The hex size is 17mm. Please refer the following drawing for exact specification and size. Visit our application guide page for any application related information. Contact us for any questions. Price is for each piece.